The newest collaboration between LEGO and Minecraft is the biggest one yet. 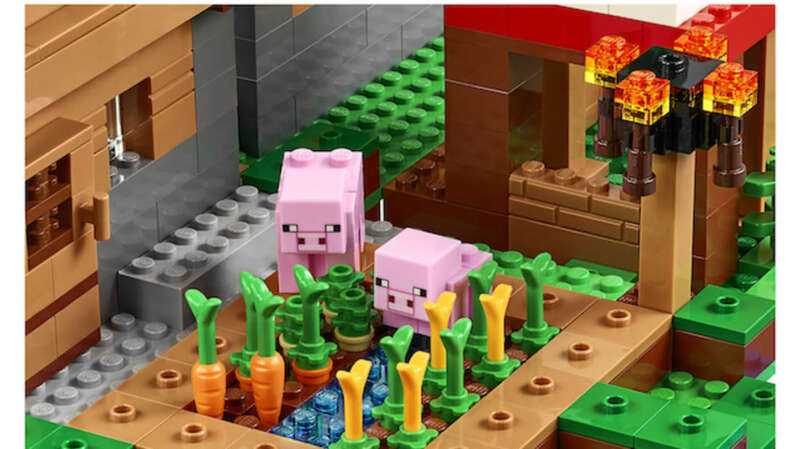 Hitting stores on June 1, the set features 1600 pieces that combine to form the in-game location known as The Village. The $199 collection captures Minecraft's rainforest, snow, and desert regions (called biomes), and includes several buildings: a watchtower, library, butcher shop, blacksmith, and marketplace. And because no set would be complete without minifigures, it also features the characters Alex and Steve, a zombie, a zombie villager, a Creeper, a farmer, a librarian, an Iron Golem and more. Throw in a few weapons and accessories, and Minecraft players have everything they need to recreate the popular game in real life.